The Red Sox announced the addition of eight more players to Major League spring training as non-roster invitees. That brings the total of non-roster invitations up to 14 after announcing six others were signed in mid-December. The newest group includes infielders Josh Rutledge and Sam Travis, outfielders Allen Craig and Brennan Boesch, catcher Sandy Leon, and pitchers Ramon Mendez, Danny Rosenbaum, and Kyle Martin. The signing of Boesch had not been previously announced, and he is the only one of this group who is new to the Red Sox organization. The tall left-handed hitter is familiar to Dave Dombrowski, as the Red Sox president of baseball operations drafted him in 2006 with the Detroit Tigers. He posted a solid .729 OPS with 42 home runs over his first three seasons at the major league level with Detroit. Since leaving Detroit in 2012, Boesch has bounced around and has not received more than 94 plate appearances in the majors in one season. He spent last season with the Cincinnati Reds organization, posting a .146/.191/.202 line. 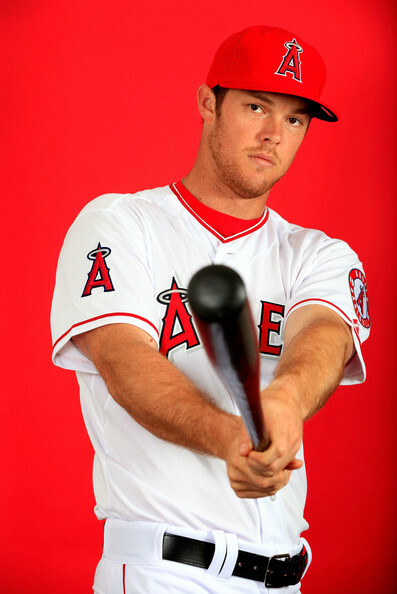 Rutledge was picked up by Boston last season in the Shane Victorino trade with the Los Angeles Angels. In 39 games with Boston, he batted .284/.333/.338 with one home run. He saw time at third base, second base, and designated hitter, and figures to open the season in Pawtucket barring injuries. Travis, SoxProspects.com's seventh-ranked prospect, had a breakout campaign in 2015. The 22-year-old split time between Salem and Portland and hit .307/.381/.452 in 559 plate appearances. He also tore it up during the Arizona Fall League for Scottsdale, batting .344/.394/.505 in 104 plate appearances. Travis projects to be the starting first baseman for Pawtucket in 2016. Craig lost his way at the plate with Boston after being an All-Star for the 2013 National League Champion St. Louis Cardinals. He was sent down to Pawtucket early in 2015 after posting a .139/.236/.197 line in parts of two seasons with the Red Sox. With the PawSox, Craig posted a solid .274 batting average to go along with a .368 on-base percentage. However, he lacked in the power department, hitting just four home runs and slugging just .350 in 399 plate appearances. Leon joined the Red Sox in 2015 after Christian Vazquez went down with a season-ending injury. He played in 41 games for Boston, batting .184/.238/.202. Leon proved to be valuable behind the dish, however, throwing out 10 would-be base stealers in 20 attempts while doing a solid job handling Boston's pitching staff. He hit .263/.342/.333 in 26 games for Pawtucket as well, spending the end of July and August there. Leon also played in 13 winter ball games in the Venezuelan League and posted an .817 OPS. Mendez was selected off waivers by the Red Sox on September 11 from the Texas Rangers. He tossed two innings for Boston in 2015, allowing three hits and an earned run. He was originally signed by the Red Sox in 2007 as an international free agent then was traded in the deal for Jarrod Saltalamacchia. Overall, he has appeared in 45 big league games and has a 3.09 ERA. He also threw seven innings in the Dominican Winter League in 2015 and had a 6.43 ERA. Rosenbaum and Martin are both coming off terrific stints with Scottsdale in the Arizona Fall League. Rosenbaum posted a 0.84 ERA in 10 2/3 innings and Martin tossed 8 1/3 innings to the tune of a 2.16 ERA. Rosenbaum spent time in Lowell and Portland last year and had an ERA of 5.81 making a comeback after undergoing Tommy John surgery in 2014. Martin spent most of his time in Portland, where he had a 4.50 ERA. Martin is currently the 32nd-ranked prospect on SoxProspects.com.